The phrase “born again” is often heard. 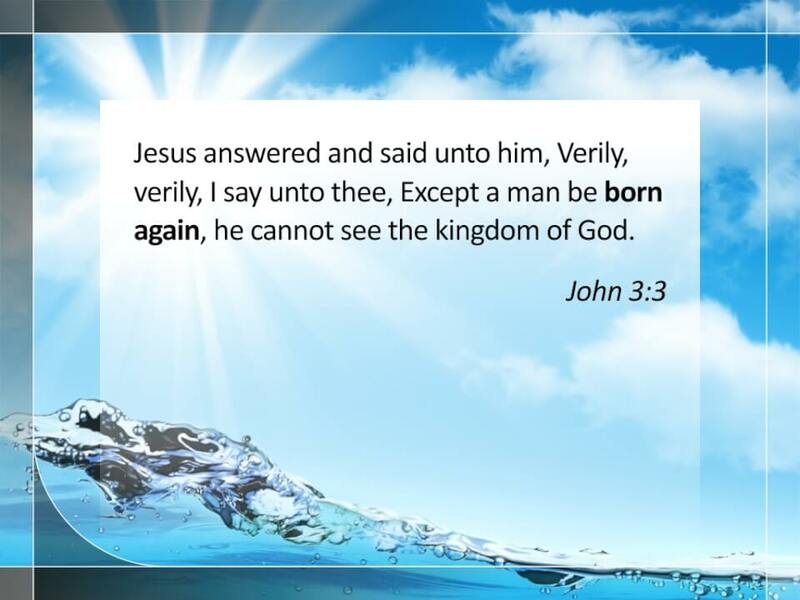 Jesus said we must be born again. But what does “born again” mean? 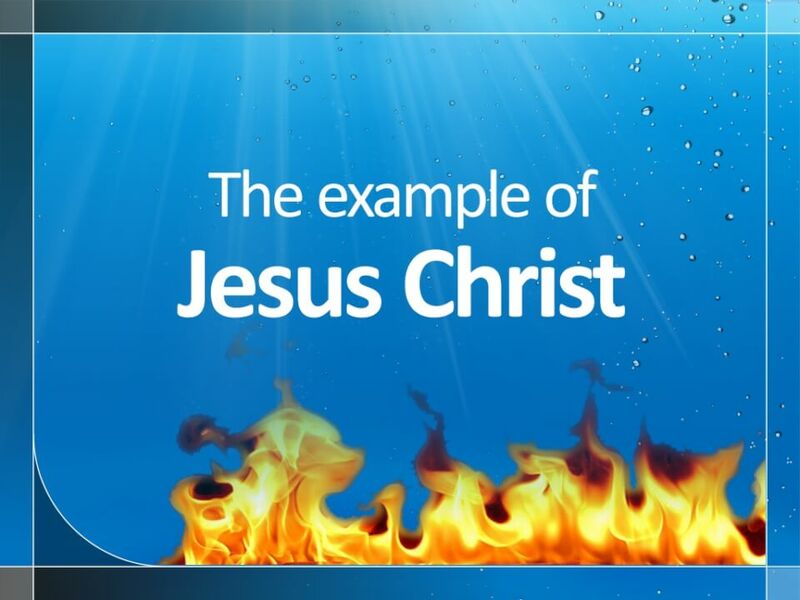 Jesus explained the phrase “born again” to mean “born of water and of the Spirit” and emphasised that without these things we cannot enter the kingdom of God. These sayings of Jesus were spoken during a conversation with the pharisee Nicodemus. It was during this same conversation that Jesus later spoke the famous words above. But these are Christ’s first words to Nicodemus. 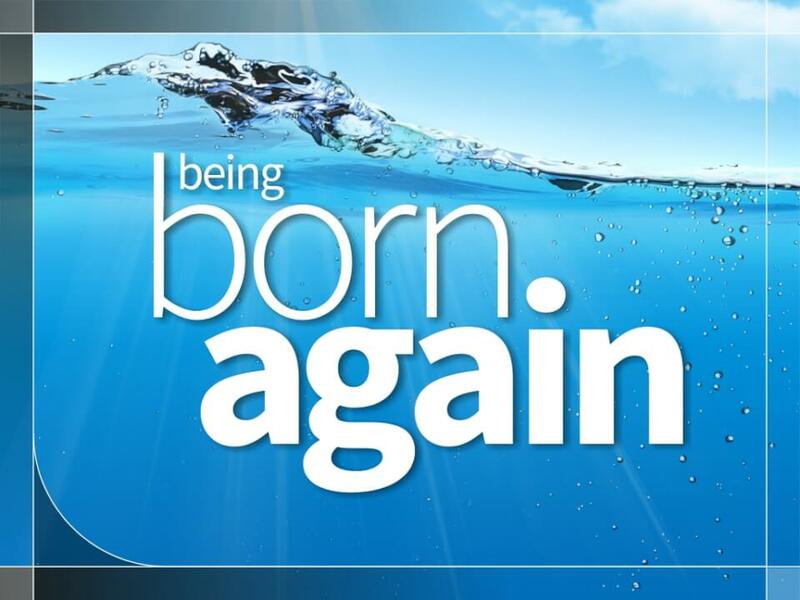 Here Jesus expands on what being born again means. Since Jesus strongly emphasised we cannot enter or see the kingdom of God without being born of water and of the Spirit, it is important to know what these things mean. They are clearly connected with receiving the eternal life Jesus later spoke of to Nicodemus. The combination of water and the Spirit is an unusual one, but it is one that appears frequently in the Bible in connection with baptism in water and baptism in the Holy Spirit. 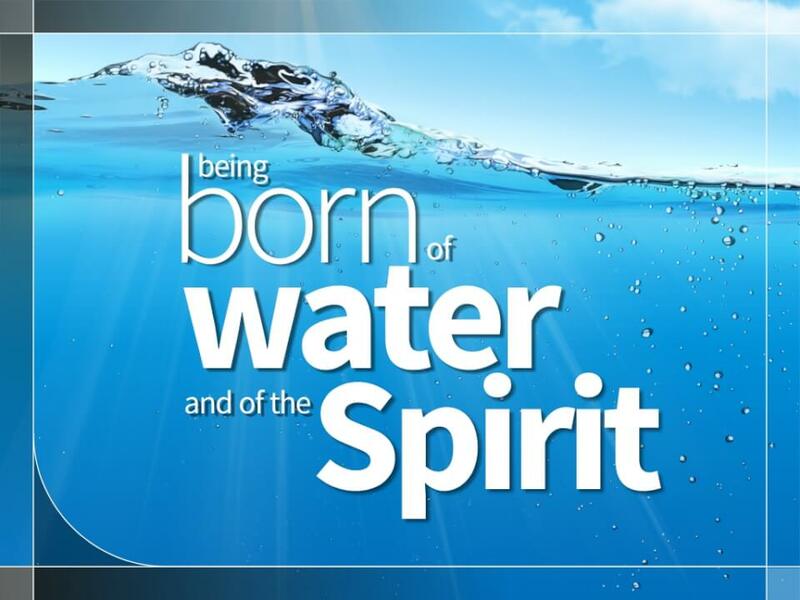 Is being baptised with water and the Spirit being born of water and the Spirit? Perhaps the best way to answer this question is to begin by simply comparing the passages which speak of being baptised with water and the Spirit. 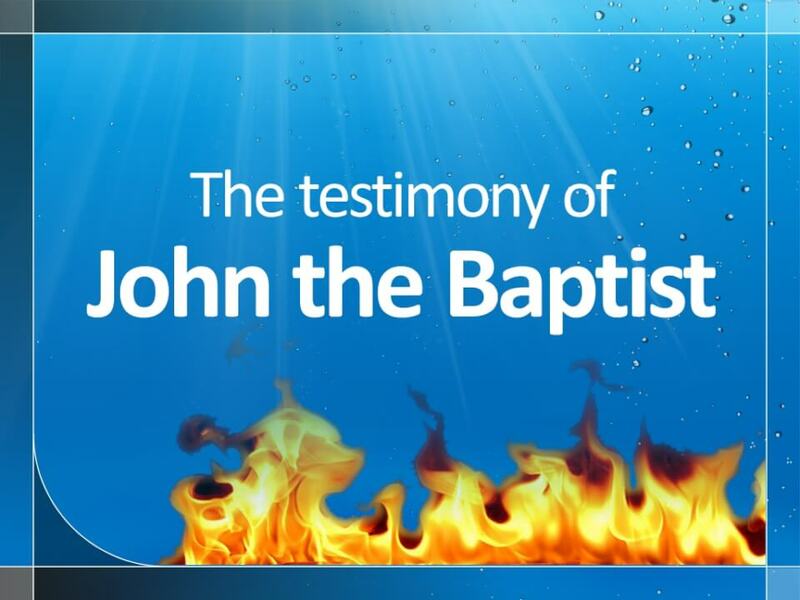 We will start with the testimony of John the Baptist. 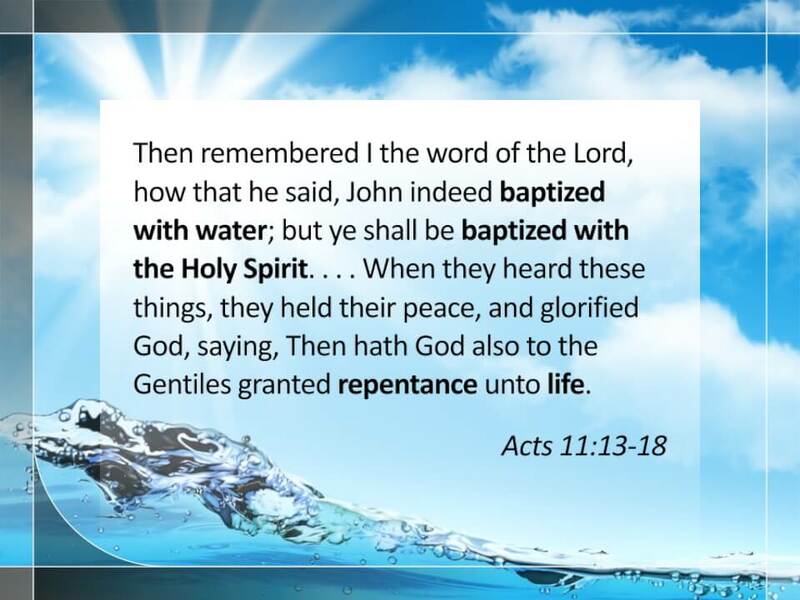 John, who was sent to prepare the way for Jesus Christ, spoke of two baptisms: one of repentance, in water, and one greater, in the Holy Spirit. John baptised with water, but Christ would baptise with the Spirit of God. 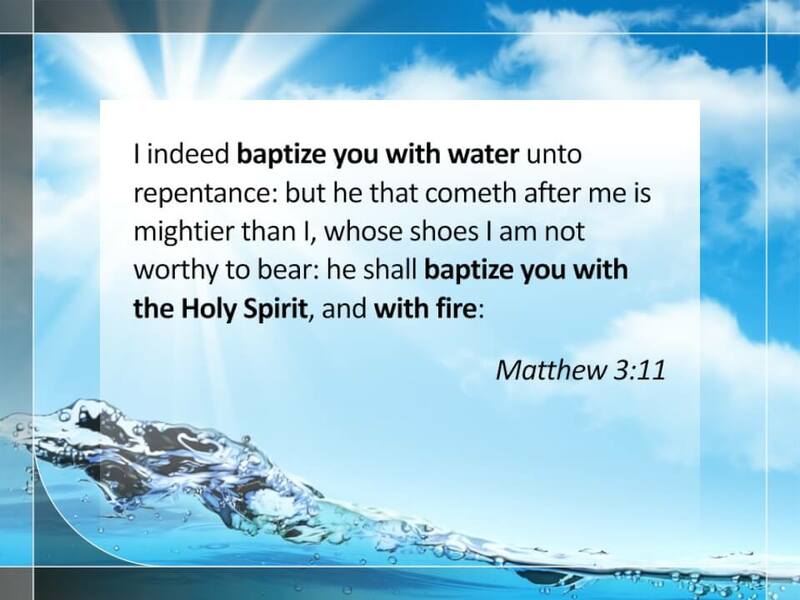 It was God who sent John to baptise with water, and it was God who introduced Jesus as “he who baptizeth with the Holy Spirit”. Are these the experiences Jesus spoke of to Nicodemus? Important experiences associated with belief in the Son of God? 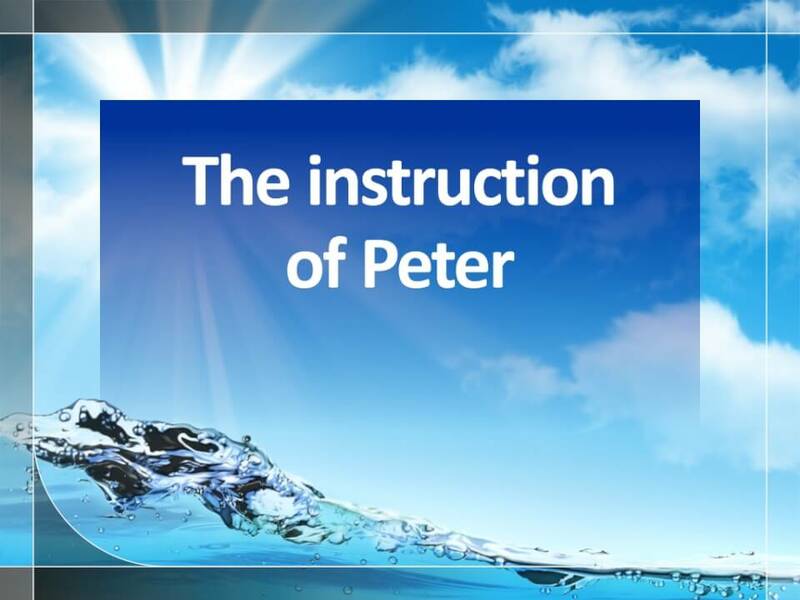 The example of Jesus Christ’s own ministry follows the same pattern of water and the Spirit. Jesus was baptised in water and received the anointing of the Holy Spirit during prayer. The book of Acts, which records the beginnings of the early church after Christ’s death, resurrection and ascension, demonstrates the same pattern. First, in the declaration of Jesus shortly before his ascension into heaven. 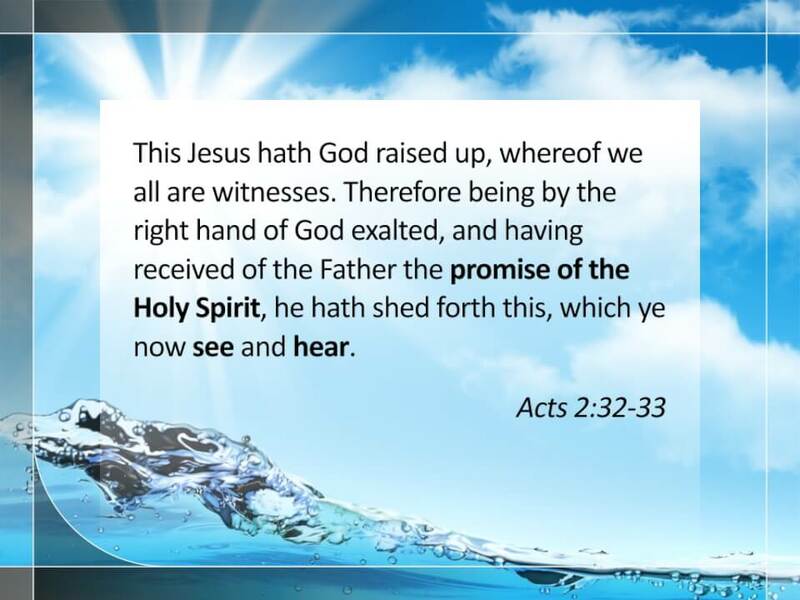 Jesus spoke of the coming baptism of the Spirit as the promise of the Father. He reiterated the teaching of John the Baptist, which John had received of the Father. The preaching of Peter reiterated the preaching of John and of Jesus to the people after the disciples received the Holy Spirit on the day of Pentecost. 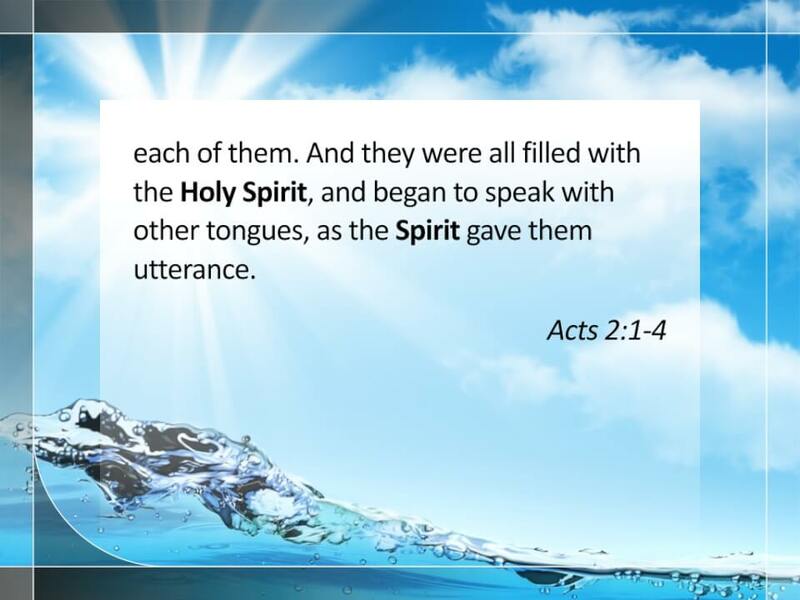 On the day of Pentecost, the disciples are baptised in the Holy Spirit, speaking in tongues. When the crowds that gathered questioned what the speaking in tongues was about, Peter and the other disciples explained that this was the promise of the Holy Spirit that Jesus had poured out upon his followers. When the people became convinced through the preaching of the disciples that Jesus was indeed the Lord and Christ they had been looking for, they asked what they should do. Peter told them to repent and be baptised in water, looking to Christ for the forgiveness of sins, and that they too would receive the gift of the Holy Spirit. This again demonstrates the pattern of baptism in water and in the Spirit in connection with salvation. The pattern is also seen in the salvation of the Samaritans. 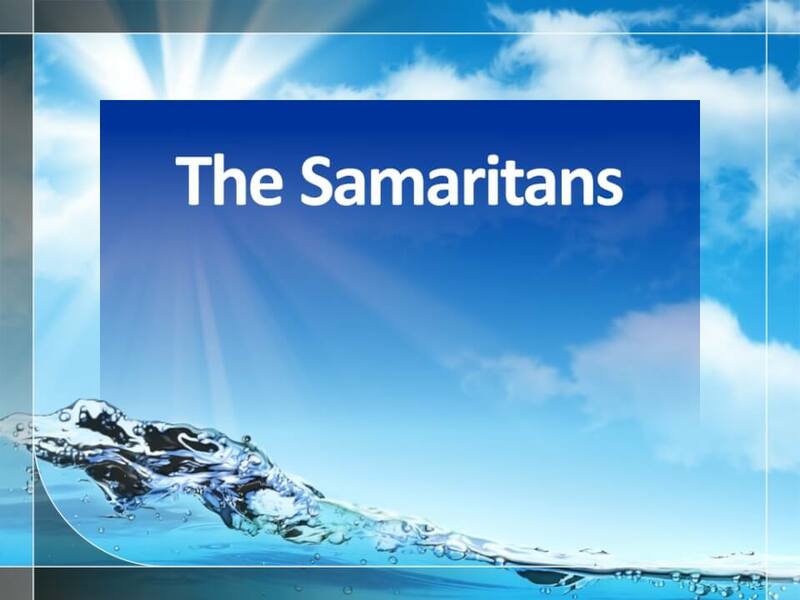 The Samaritans, upon hearing the gospel preached to them, were baptised in water. And when Peter and John later prayed with them, they received the Holy Spirit. The story of the conversion of the Apostle Paul displays the same pattern. Ananias is sent by Jesus to tell Paul what he must do. Jesus sends Ananias that Paul may be healed of his blindness and be filled with the Holy Spirit. When the Gentiles receive the Word of God the pattern of water and Spirit is present. and he reminds them of the words of Jesus and John the Baptist. The teaching of the Apostle Paul follows the pattern of his own testimony. 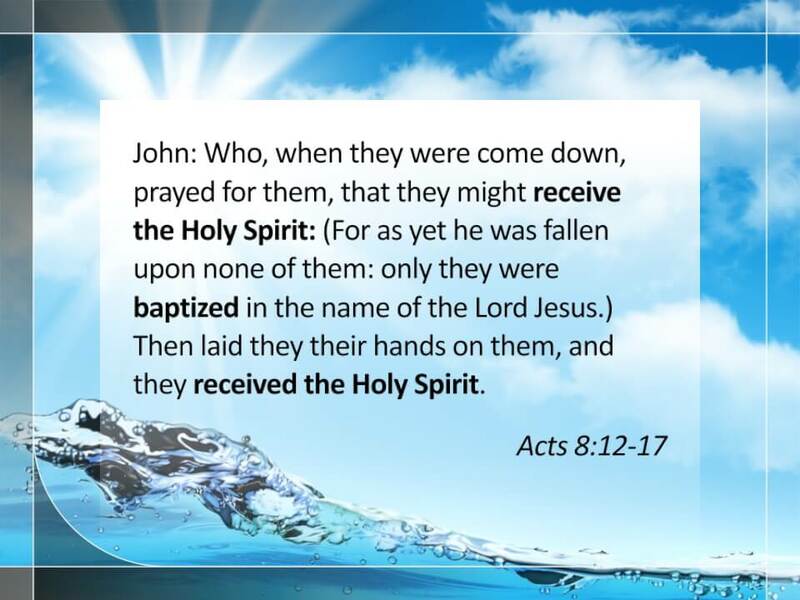 Paul asks the Ephesians if they have received the Holy Spirit since they believed. He then explains this as the purpose of belief in Christ and of baptism in water in repentance. The Ephesians are baptised in water and in the Holy Spirit. The pattern of water and the Spirit is clearly evident in all these passages. Can we really separate them from Christ's declaration, "Except a man be born of water and of the Spirit, he cannot enter into the kingdom of God"?